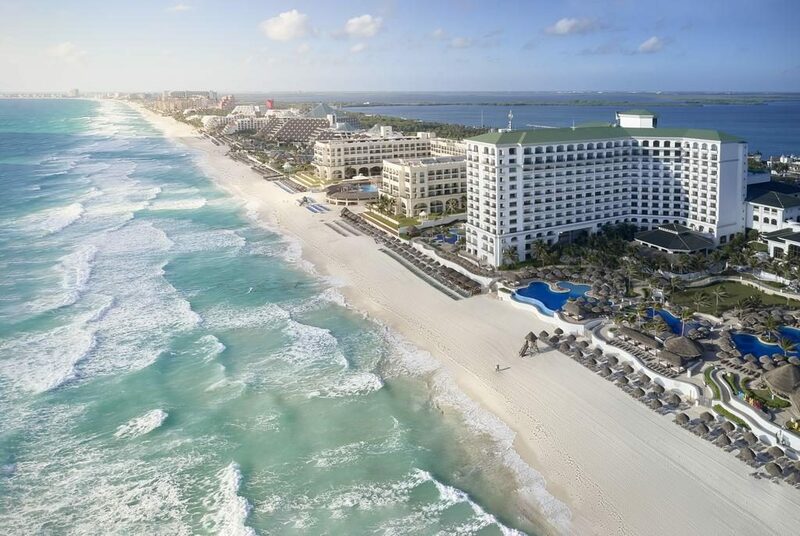 The Mexican coastal city of Cancun has the reputation for being one of the most vibrant and cosmopolitan cities in the whole of Mexico and has long been a popular playground for those who want to soak up the sun. Visitors travel here from all over the world in search of pampering and relaxation and most of the area’s leading luxury hotels are set right on the beach and boast a wide range of world-class amenities for guests to make use of. The adults-only TRS Coral Hotel is the pinnacle of the Palladium Hotel Group’s adults-only portfolio of hotels. 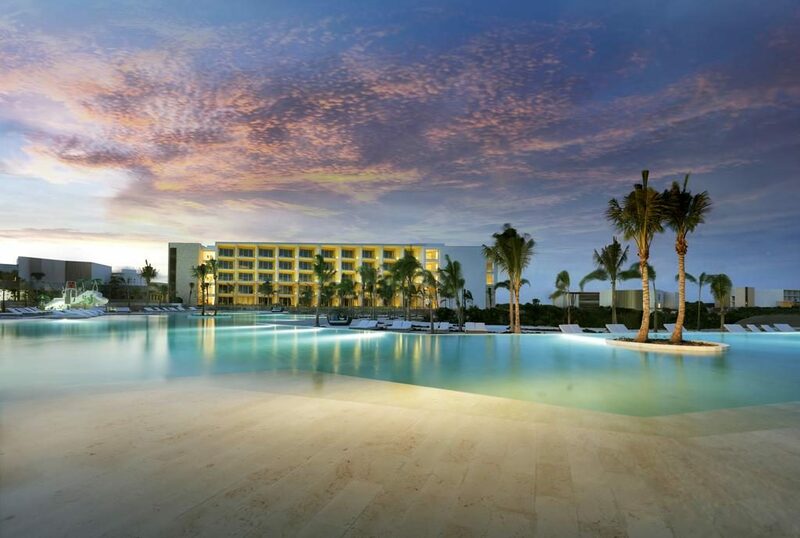 Sharing the same Costa Mujeres property as the Grand Palladium Resort & Spa, the TRS Coral Hotel is on a beautiful beach in a less-developed area. About 30 minutes’ drive from Cancun. Guests not only have access to the hotels exclusive a la carte restaurants, and designer bars, but also all the facilities and dining options of the Grand Palladium. The hotel is all-inclusive with a new approach of ‘Infinite Indulgence’, with no limits for guests. The service includes a premium all-inclusive package, such as a fully personalised and stocked in-room bar; as well as a personal butler and various other benefits such as a complimentary in-resort transfer facility, 24-hour room service (available via the property’s free app) and unlimited access to all the facilities and services offered at the next-door Grand Palladium Costa Mujeres Resort & Spa. Found in the same property as the adults-only TRS Coral Hotel, the new 673-room family-friendly Grand Palladium is an upscale resort for families, groups of friends and couples. It’s on the Costa Mujeres beach, a natural area on the Mexican Caribbean, about half an hour’s drive from the town of Cancún. For families looking for a truly premium experience, there is ‘The Family Selection’ service, with access to the best sports facilities, fine-dining restaurants and an upgraded all-inclusive offering. The resort village has a range of leisure, dining, entertainment and shopping options that ensure both children and adults are having their best holiday. The property’s facilities feature nine restaurants, four swimming pools, one of them exclusive for children, as well as a convention centre with capacity for 1380 people. In addition, the resort offers world-class spa facilities with the Zentropia Spa & Wellness centre; and also, exceptional tennis facilities with The Rafa Nadal Tennis Centre Costa Mujeres, set to be one of Mexico’s most comprehensive tennis facilities, offering tennis programmes developed by Nadal and his technical team for all levels and ages, suitable for both hotel guests and local residents. There are eight clay tennis courts, a football pitch, one paddle court, a gym for warming-up, stretches and basic training, a Rafa Nadal exhibition area, a shop with exclusive premium sports products, and a bar/cafeteria. 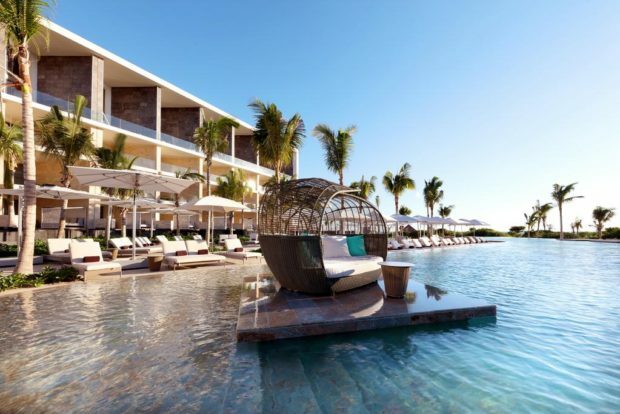 This flagship property of the Live Aqua group of hotels, is in the heart of Cancun’s hotel zone, with privileged direct beach access, and proximity to high-end designer shopping at Luxury Avenue and sophisticated retail and family-friendly leisure entertainment at the Fashion Harbour mall. The property is a delight for the senses; from the aromatherapy in the rooms, the award-wining spa; to the seven different swimming pools with different temperatures and orientations. Dining is another highlight, including the new gourmet ‘In Laa´Kech’ restaurant, by Executive Chef Cesar Germain. 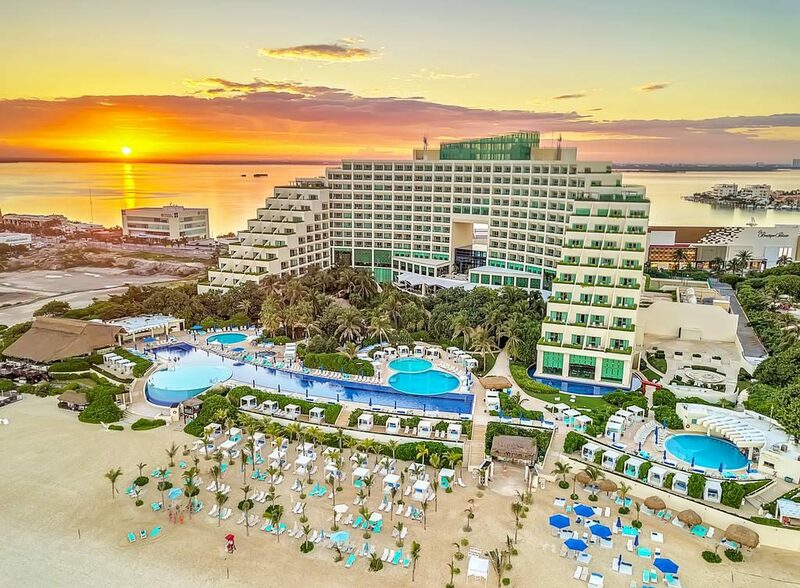 This is a resort for couples, friends and families that want style, fun and superb facilities all close to the attractions of Cancun and those amazing beaches. 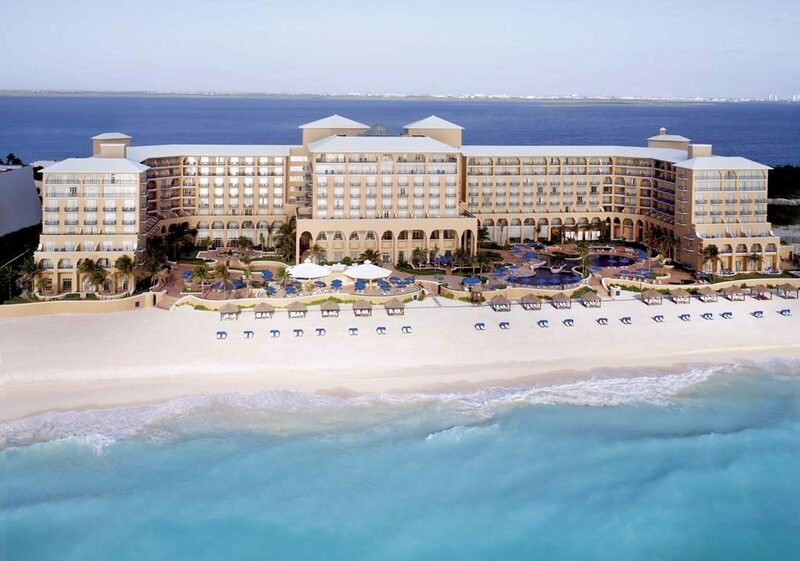 Set right on the edge of a gorgeous sandy beach, this legendary hotel perfectly embraces the style and class that the Ritz Carlton brand is famous for. Each and every guestroom offers a stunning ocean view with spacious balconies so that guests can get the most out of this enchanting experience. Guests who opt for one of the elegant rooms on the Club Level will be granted full access to the Club Lounge, which comes with a special concierge service and a fully stocked mini bar which is replenished regularly throughout the day. The Ritz Carlton Cancun is famous for its first class dining experiences and guests are sure to love dining in the evening in their very own private beach cabana, where they will be treated to a huge selection of culinary treats that range from Mediterranean cuisine to sushi and thick steaks. Lovers of luxury who appreciate gourmet cuisine are sure to be in their element at this very luxurious beachside resort. Among the impeccable amenities that guests are given full use of a lagoon-style infinity pool that is lined with pergola-topped Bali beds, a pool that boasts its very own artificial coral reef that has been designed especially for divers and a luxurious spa that has been created in the Mayan theme. Each and every room comes complete with its own balcony that looks out on the Caribbean Sea, while those who book a room in the exclusive Club 91 on the top floor will be treated to the very best that the JW Marriott has to offer. Offering guests a private stretch of 600 metres of powdery sand to spread out on, this stunning hotel is separated into five establishments that have been created in the shape of pyramids. 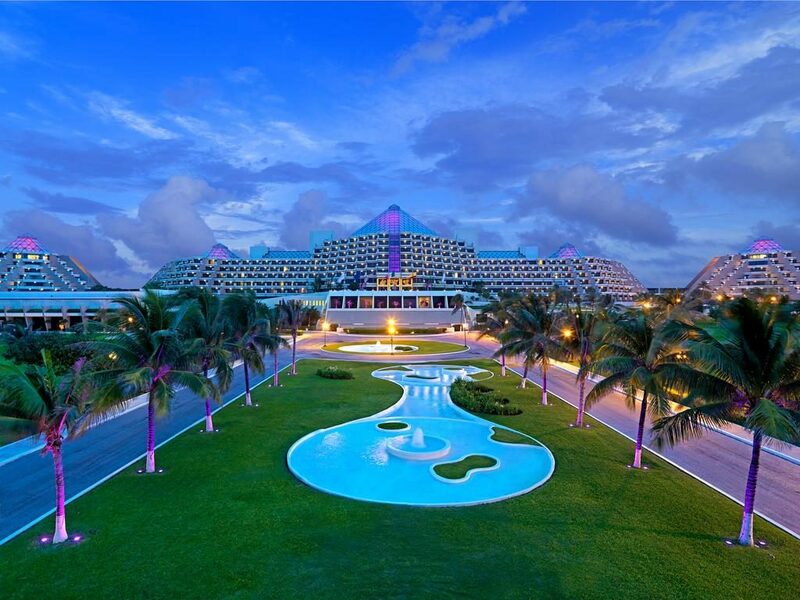 Each pyramid is surrounded by its own tropical garden and comes with a separate lagoon-style swimming pool to ensure guests will find plenty of room to splash around. People who are in search of the optimum luxury will be able to take advantage of a range of upgraded services such as the Royal Service that is reserved exclusively for adults and the Family Concierge. The dining here is among the best in the whole of Cancun and with a seven-star Michelin chef overseeing the creation of dishes, guests can be sure that they will be in for a real treat.